I remember the first time I picked up a Marvel Zombies trade, with very little background in comics, and I was blown away at the sheer audacity and commitment of the series. Ok, sure, zombies in the Marvel Universe, but they wouldn’t really have the good guys lose to a zombie plague right? And Sandman wouldn’t take out his revenge on zombie Spider-Man by doing… that… to Peter Parker, right? Of course, I was (un)dead wrong. Marvel Zombies goes *there* and then some. In a perfect fit, Walking Dead writer Robert Kirkman writes Marvel Zombies, with brilliantly twisted classic Marvel covers reinterpreted to fit the land of zombies. Below you’ll find a reading order for the entire Marvel Zombies saga, and how you can get as much blood-soaked Marvel alternate reality as possible. The Dead Days one-shot flashes back to show how the Marvel Zombies plague spread in the first place, but I’d recommend reading after the initial series. 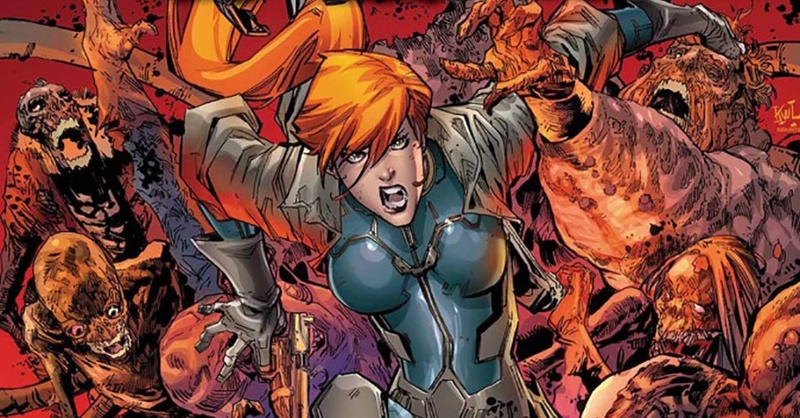 Writer Cullen Bunn’s standalone Deadpool graphic novels are not part of the Marvel Zombie universe at large, but set up their own Deadpool zombie-verse. Well worth a read for fans of either Deadpool or zombie comics. 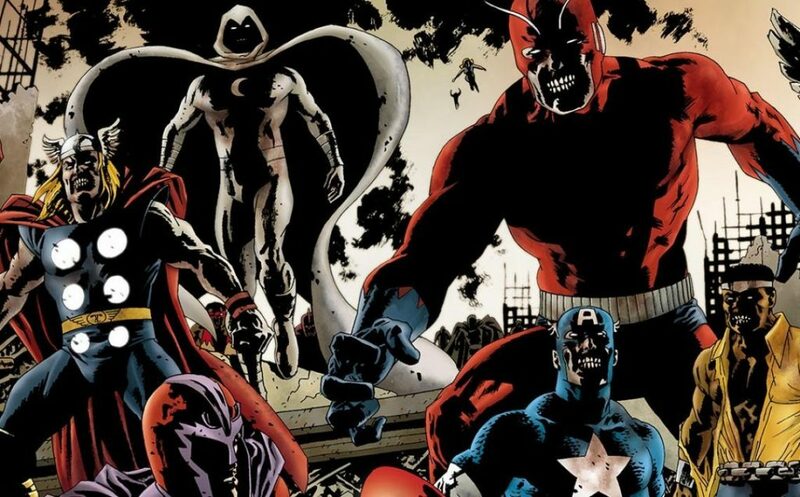 Marvel’s 2015 mega-event, Secret Wars, features the Marvel Zombies as the plagued creatures kept beyond the SHIELD. While I highly recommend Secret Wars as a whole, below you’ll find the realms most closely tied to the Marvel Zombies! Collects: Red Skull & More!